Copenhagen: "Spændende Bøger" Forum, 1979. 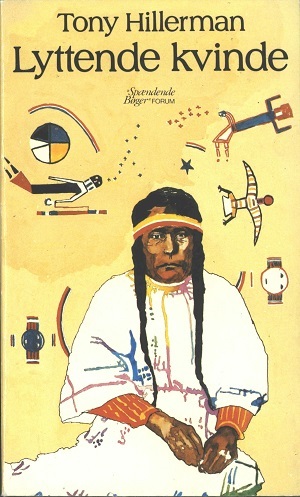 The Danish edition of Tony Hillerman's 1978 Listening Woman, the third novel in his Navajo Detective series. Published in both hard- and paperback, Hillerman's prose was translated from English to Danish by Mogens Cohrt. Format: Paperback, 20 x 12 cm. Binding: Pasteboard cover, with full color illustration by John Ovesen.